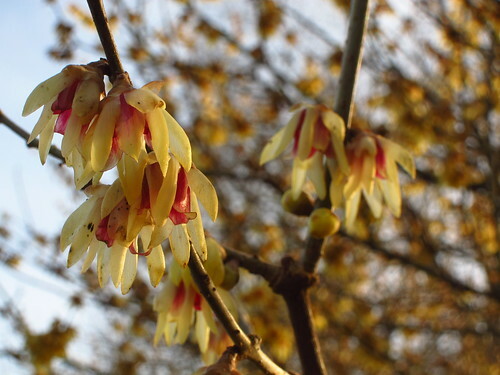 Before spring arrives–or a blizzard–it's now time to appreciate the lovely blossoms of the shrubs and trees that flower in winter, many of which are so beautifully scented. They can be found in Kew Gardens, where there's something to see at any time of the year. 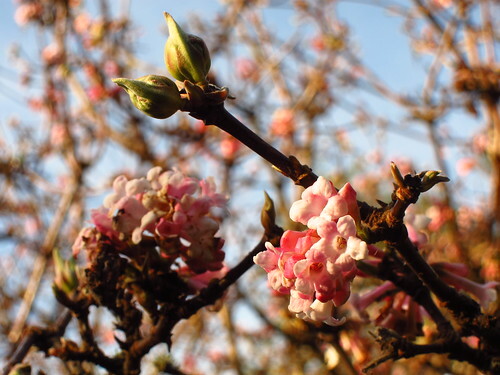 There are many winter-flowering shrubs in the Winter Garden near the Ice House and Princess of Wales Conservatory (this is where I took the pictures shown below), and more can be found between The Pond and the Victoria Gate. 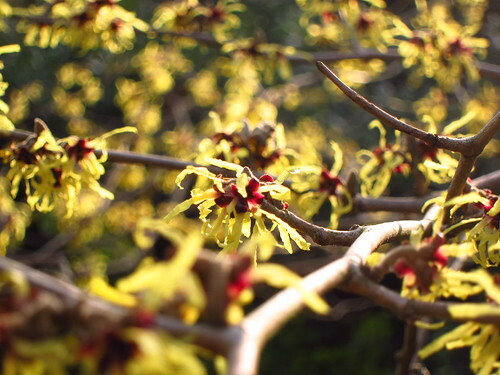 Near King William's Temple, there's a collection of hybrid witch hazels which have also started coming into bloom. 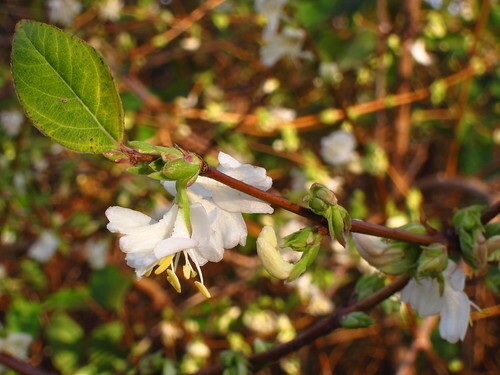 More winter bloomers dotted around the gardens (a winter honeysuckle in the Duke's Garden could not be missed because of its scent). 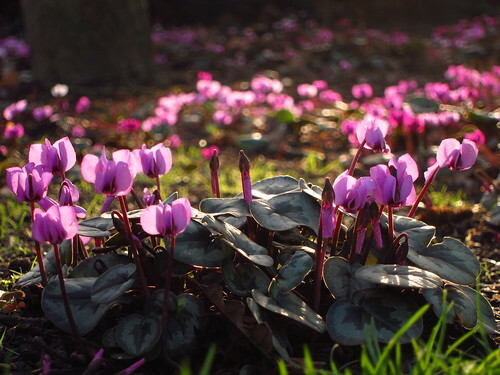 ...And while Kew's spring bulbs are getting ready for their big show, this little carpet of cyclamen coum is a pretty surprise. It's underneath a tree next to the Cafe at the Victoria Gate.